The new guide recommends more plant-based proteins and more water. At the same time, it removes portion sizes. 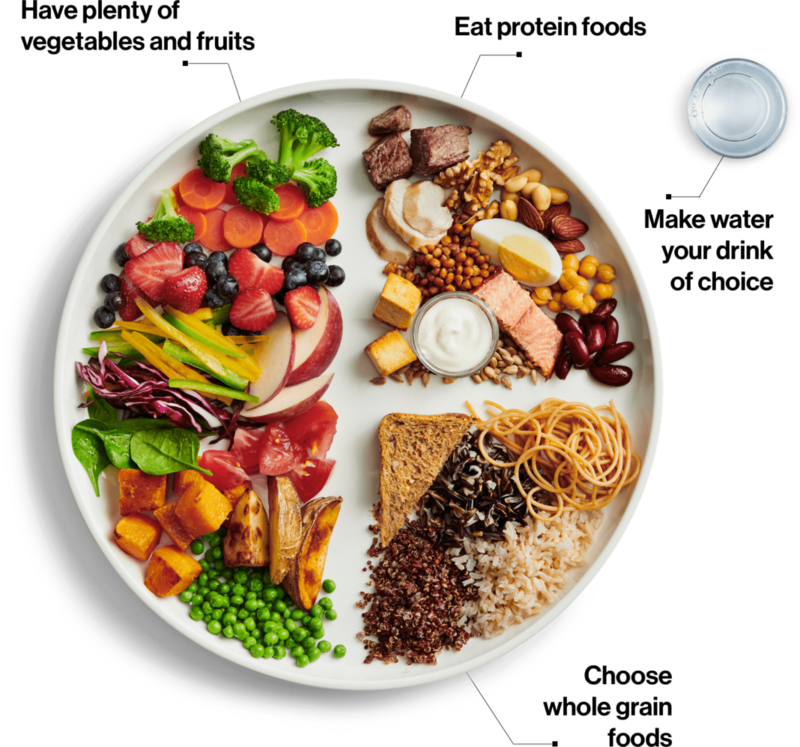 Most who have grown up in Canada have learned about the Canadian food guide, a chart that provides a graphical representation of how much of each type of food a person should consume in a day. These foods are split up into vegetables, dairy, grains, and meats and alternatives. However, as of Jan. 22, Canada has unveiled the new Canadian food guide which is vastly different from the one that most Canadians are used to. One of the most noticeable changes is the recommendation to eat less meat. Of course, meat is still on the food guide and this is unlikely to change completely. The new model simply shows how essential nutrients can be obtained through vegetables and how meat should not be the primary focus of a person’s diet. Another noticeable absence from the food guide are dairy products. The former milk and alternatives food group has been completely eliminated, with the guide itself only having yogurt as a recommended dairy product. It has, therefore, been speculated that this new guide could even hurt the dairy industry, with the possibility of people buying less milk products because of how the new recommendations influence what people buy. However, with the food guide only being announced recently, these claims are still speculative. Furthermore, the new food guide puts an emphasis on drinking water over milk or other types of drinks. These other drinks almost always contain sugar, artificial sugars, syrups, or other unhealthy substances. The food guide states that the best way to stay hydrated, and often the healthiest, is to drink water. Although meat has been relegated to a place of less importance, plant based protein has become an important part of the guide’s recommendations. This seemingly follows a trend in Canadian eating habits where products containing plant-based protein have come into higher demand. For example, Maple Leaf Foods has already started taking on contracts to secure production of these types of products. Finally, portion sizes have been removed from the guide as the required caloric intake is different for each person. It does, however mention the importance of preparing your own food at home. Take-out is almost never a healthier option than cooking at home. The food guide reflects this, and shows how the best person to prepare one’s food is themselves.